The law generally requires products to be safe for their intended use. Despite this legal mandate, many things can and do go wrong between the time a product is designed or manufactured and the time it finds its way into a consumer's hands. Sometimes the way a product is designed is itself the problem. For instance, construction equipment and other tools with revolving blades are sometimes designed without proper safety guards, resulting in serious injuries like severed limbs. Other times, products that were properly designed become dangerous because of faulty manufacturing. For instance, when a car manufacturer uses a faulty collision sensor, an airbag can fail to deploy at the right time. Finally, products may be unsafe because a manufacturer fails to provide proper instructions or warnings about hidden dangers. For instance, where a product may be flammable or toxic, manufacturers have a duty to provide clear instructions on how to properly use the product so as to avoid fire and exposure to dangerous toxins. Dr. Aussprung has vast experience with product liability cases, fighting to secure financial rewards for victims and their families and demanding that manufactures carry out their duty to produce safe products. 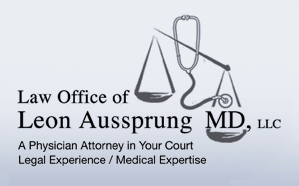 If you or a loved one have been seriously injured or killed because of a defective product, contact Dr. Aussprung today.